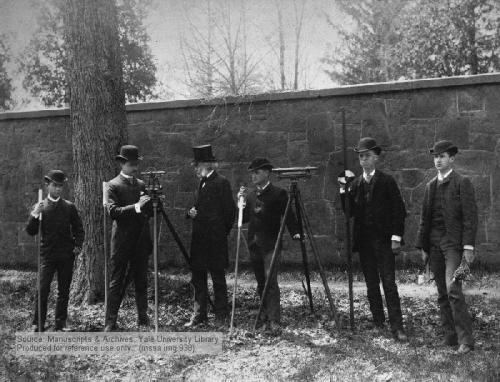 Engineering students practicing field surveying techniques. At far left, Luk Wing Chuan of the First Detachment. Luk had entered the Sheffield Scientific School at Yale with the Class of 1882, but returned to China when the CEM was closed in 1881. He came back to the U.S. the next year, re-entered Sheffield Scientific School, and graduated Ph.B. with the Class of 1883.